the Chacogirl: I won an award!!! As many of you know, some bloggers are awarded for their blogs. 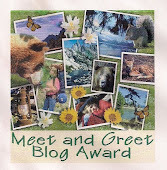 This is not my goal for blogging, but I appreciate it, if someone likes my blog enough to award me with a award button. Patrice over at Everyday Ruralty sent me a message this week, that she had awarded my blog:) I just got to know Patrice through Java's meme: "Meet me on Monday" and loved her country blogging style. She made me drool with her pictures of picking apples and pears! I would like to forward this award to the following 11 blogs! 1. Post the award on your blog with the name of the person who has granted the award and his or her blog link. 2. Award it to 15 other bloggers. 3. Contact those blog owners and let them know. Sorry for not nominating 15 blogs, as I was supposed to. 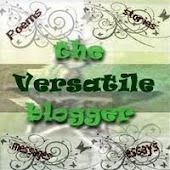 I hope you take the time to check out some of my blogging friends some time. Posted by the Chacogirl at 7:43 p.m.
Ellen Stewart (aka Ellie/El/e) September 14, 2010 at 7:58 p.m. Right now my desk chair is in the guest room, and I'm kneeling to type. So, this is long enough! Teresa Dawn September 14, 2010 at 8:12 p.m. I've been wondering how meme was pronounced! haha! THanks! Patrice September 14, 2010 at 9:17 p.m. I just read Cake Wrecks for the first time. I'm sore from laughing. My husband even came inside when he heard three of the girls and me laughing loudly. He joined us and laughed right along with us. It makes me feel like a master baker! Betty September 14, 2010 at 9:31 p.m. Thanks for the award Brenda! I´ll be back to blogging, but I´m still enjoying my break. I do appreciate an award and the "shout out" here! Ann September 14, 2010 at 10:53 p.m.
Oh Brenda! I am so honored to be included in this group - THANK YOU!!! Norberto and Julie September 15, 2010 at 8:10 a.m.
What an honor; I'm so humbled, Brenda. These days I don't have much time to blog, but I really appreciate your thoughtfulness. Someday I hope we can actually meet! Donna @ The House on the Corner September 16, 2010 at 8:39 a.m. Brenda!!! Thank you soooooo much!! I'm so honored that you thought of me and I can't wait to pass it along! !